NASA has confirmed its New Horizons probe worked flawlessly on its flight past Pluto -- and is now set to begin sending back images that will unravel the mystery of the dwarf planet’s strange features. 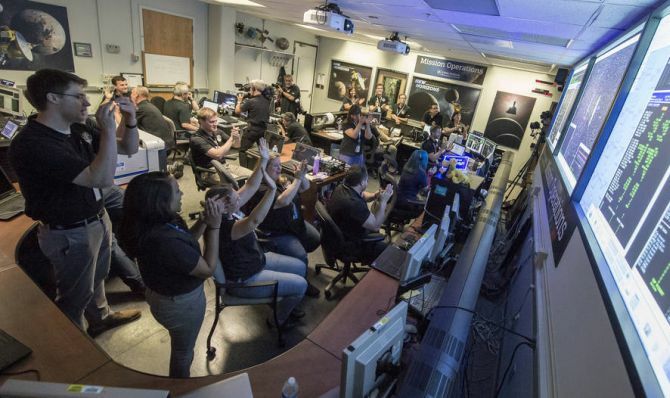 The New Horizons probe flew past the dwarf planet, capturing history’s first close look at the distant world. During its closest approach, the spacecraft came to within 12,500 kilometre of Pluto’s icy surface, travelling at 49,600 km/h. 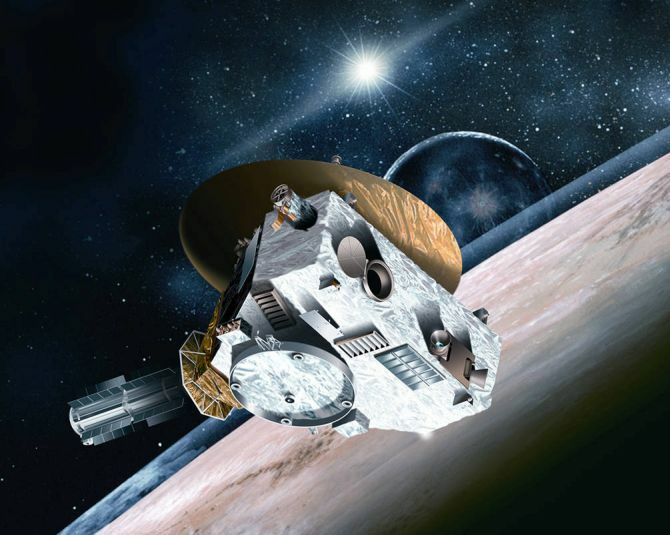 About 13 hours after its closest approach to Pluto, the last major unexplored body in the solar system, New Horizons phoned home, signalling that it had survived its blitz through the Pluto system. Alice Bowman of NASA, who was given the mission nickname Mom, confirmed the space agency had regained contact with the craft’s signal, received at a station in Madrid. 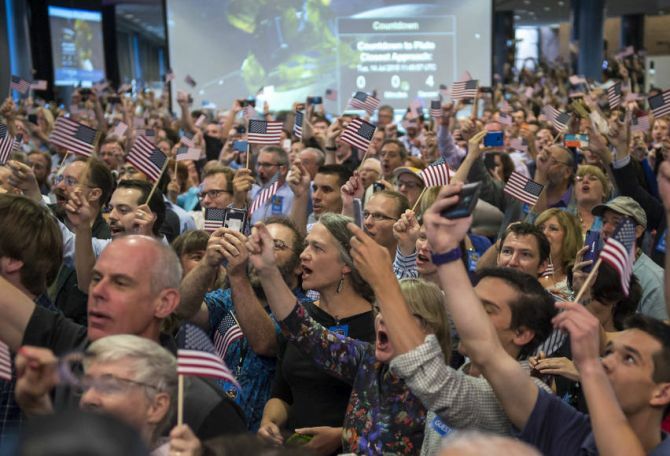 “We are in lock with telemetry of the spacecraft,” she said to rapturous applause from the assembled scientists at mission control. The successful mission means humans -- specifically, the US -- have now reached all nine planets of our solar system. Although Pluto was reclassified as a dwarf planet in 2006 – just months after New Horizons set off on its mission -- Charles Bolden, NASA’s chief administrator, said he hoped that decision would be reconsidered. 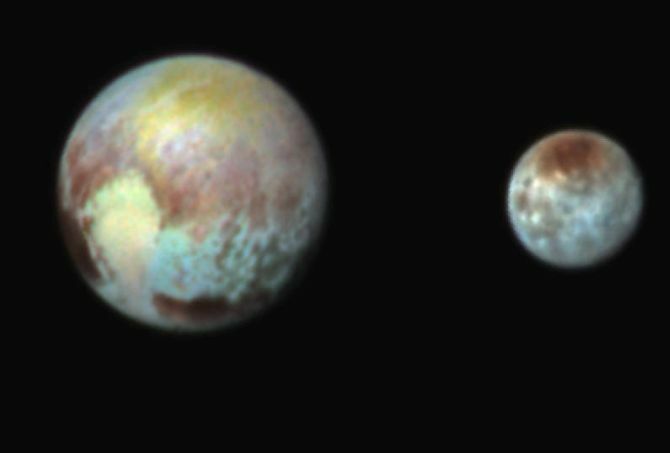 The images and measurements relayed from New Horizons have changed scientists’ understanding of Pluto, which is smaller than Earth’s moon. Once considered an icy, dead world, the planetoid has yielded signs of geological activity, with evidence of past and possibly present-day tectonics, or movements of its crust. “This is clearly a world where both geology and atmosphere climatology play a role,” said Alan Stern, New Horizons’ lead scientist, with the Southwest Research Institute in Boulder, Colorado. 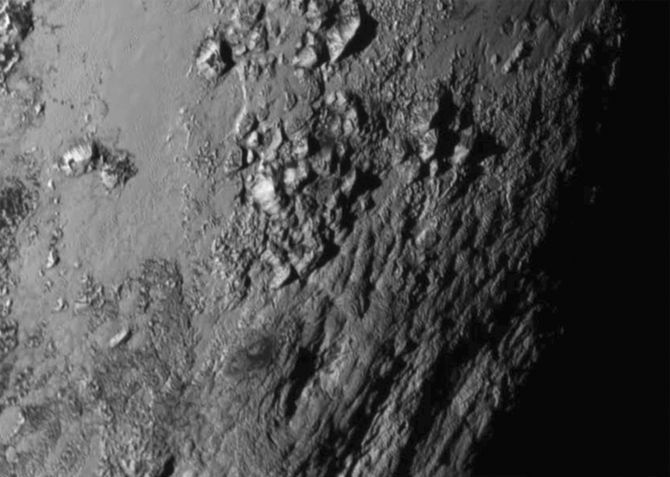 He noted that it appears that nitrogen and methane snow fall on Pluto. 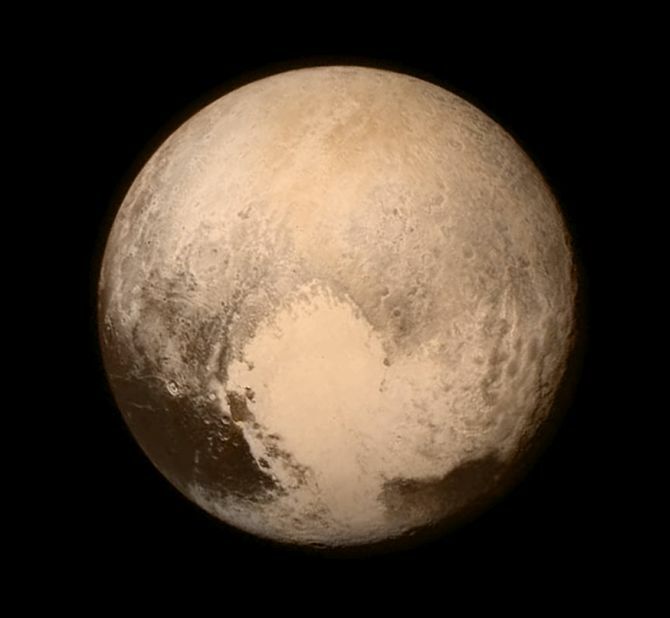 “Now the solar system will be further opened up to us, revealing the secrets of distant Pluto,” British cosmologist Stephen Hawking said in a message broadcast on NASA TV.